Friends of the Earth Cymru confirmed on Friday (1st August) that a letter will be sent to the Welsh Government, asking them to withdraw and restart an environmental consultation about the proposed M4 relief road route. The Welsh Government says it will respond once it has seen the letter. 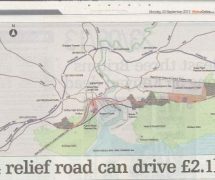 Meanwhile, earlier this month, Iestyn Davies from the Federation of Small Businesses Wales said the relief road will be a ‘billion pound mistake’. The Prime Minister also thinks the M4 relief road is a bad idea but the Welsh Government disagree. 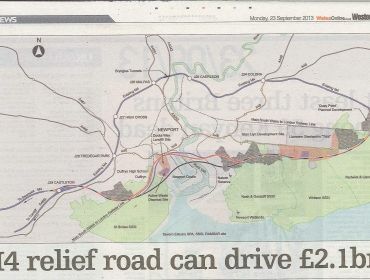 What do you think about the proposed M4 relief road? Please get in touch by commenting below. Thank you.